Heartleaf arnicas grow in bright clusters in the mountain forests of Colorado. 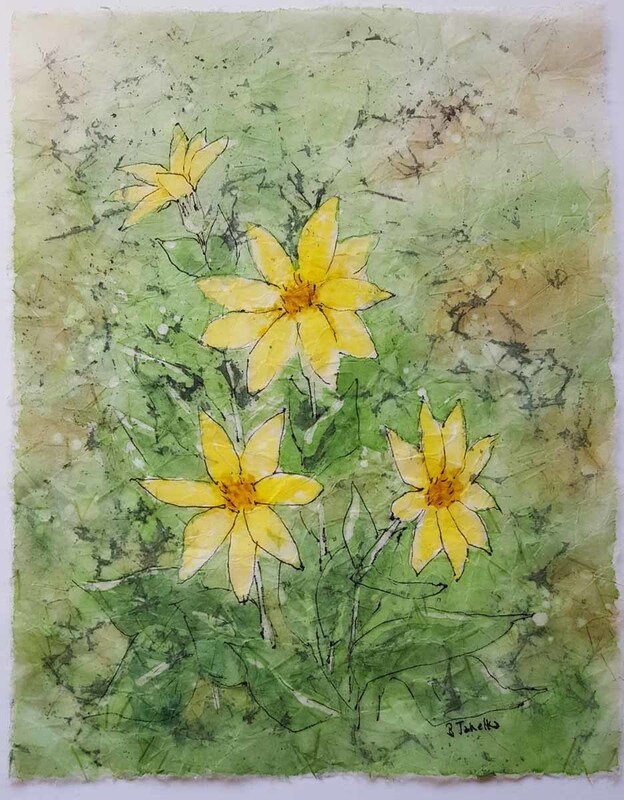 This is a rice paper batik using watercolor on Japanese rice paper. The rice paper is 9.1 x 7.1 inches.